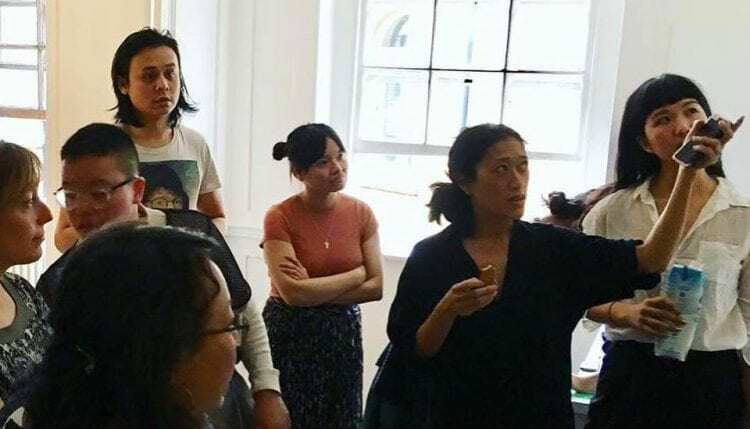 Diana was invited to participate in a workshop, held by AsiaArtActivism to make and mark a collective timeline of Asian disaporic art and activism in the UK, alongside artists, academics, curators and activists. This was particularly timely given her British Academy project, ‘Becoming East and Southeast Asian and the Politics of Belonging’. How can time-lining Asian diasporic art and activism in the UK describe less visible Asian histories and relationships to UK’s artistic and civic movements? How can this exercise gather intergenerational knowledge, and act as a collective tool for observing patterns and actions for the future? And how can time-lining Asian diasporic art and activism help to re/connect and find new connections with wider political struggles?